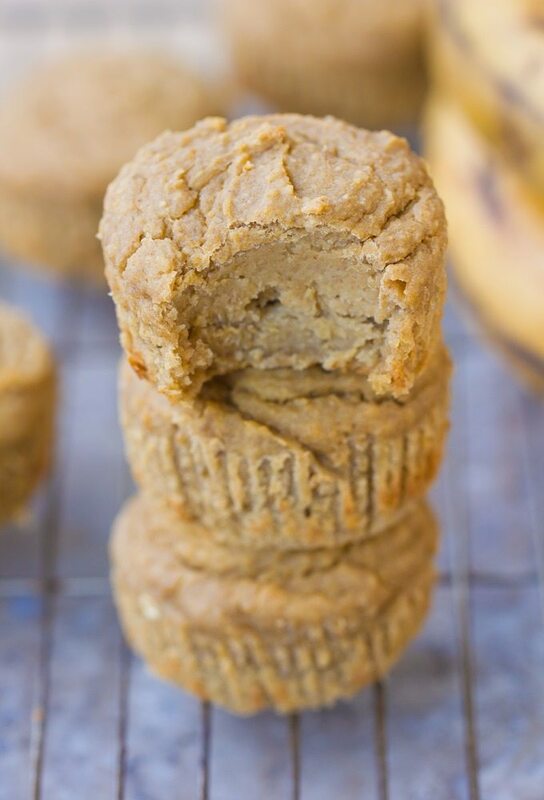 Flourless Blender Muffins – Gluten free, grain free, oil free, dairy free, vegan, and refined sugar free. 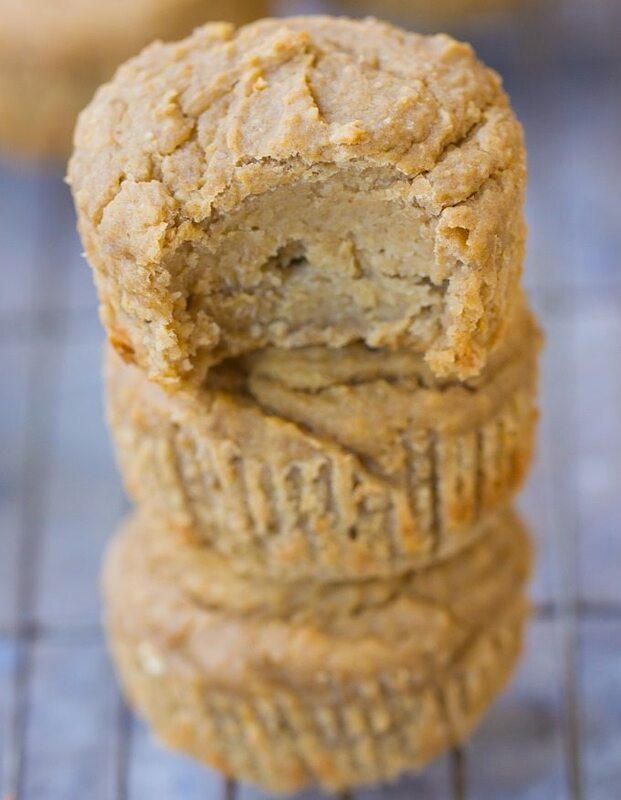 These super addictive flourless blender muffins are nothing like ordinary muffins… They are like balls of soft, unbaked cookie dough, in the shape of a muffin – their fudginess is unreal. I’ve already made them about 100 times, and my food processor literally has not been put away in over a month. As soon as I go through one batch, I’m immediately back in the kitchen making more! I am completely obsessed with them!!! If you try them, you will probably become obsessed with them too. They are the perfect “anytime” healthy snack – at breakfast, lunch, afternoon tea, dessert, when you’re hungry at midnight or find yourself raiding the fridge at 2 in the morning… Are there any meals I’ve forgotten? 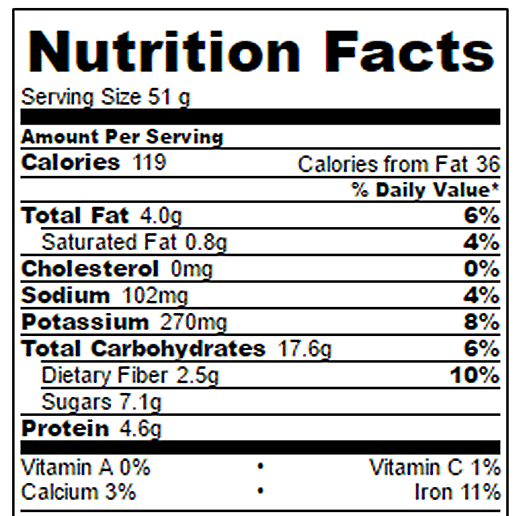 If so, these muffins go well with those meals too. And they are portable, meaning you can take them in the car, throw them into a lunchbox, or even pack them on a picnic. Try one or two instead of cornbread alongside a bowl of Crock Pot Sweet Potato Chili. 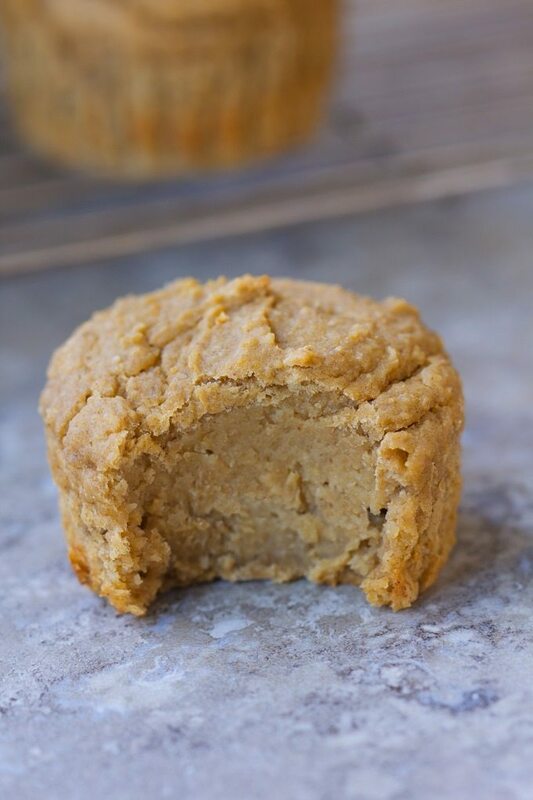 If I still haven’t convinced you to drop everything and try out a batch of these muffins right away, they also freeze well! In my mind, that takes their awesomeness to a whole new level because it means I can have an easy and healthy snack even on days I am too busy or too lazy to make something. My freezer is filled to the top with healthy meals and snacks I’ve made in advance for such occasions when I want something filling and healthy without having to wait. The muffins are also great for bringing to a rooftop brunch. I’ve gotten my friends obsessed with them too. EDIT: It’s not even been 24 hours since I posted the recipe, and already twelve people have made them! Honestly, you guys make me so happy. If you make them, be sure to tag ChocolateCoveredKatie on Instagram so I can see your pictures! 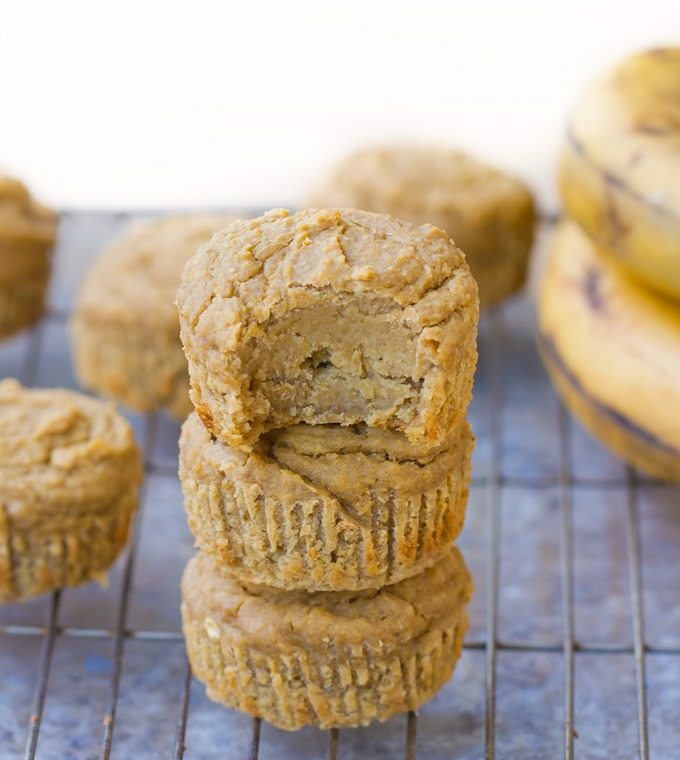 0 Response to "Flourless Banana Blender Muffins"